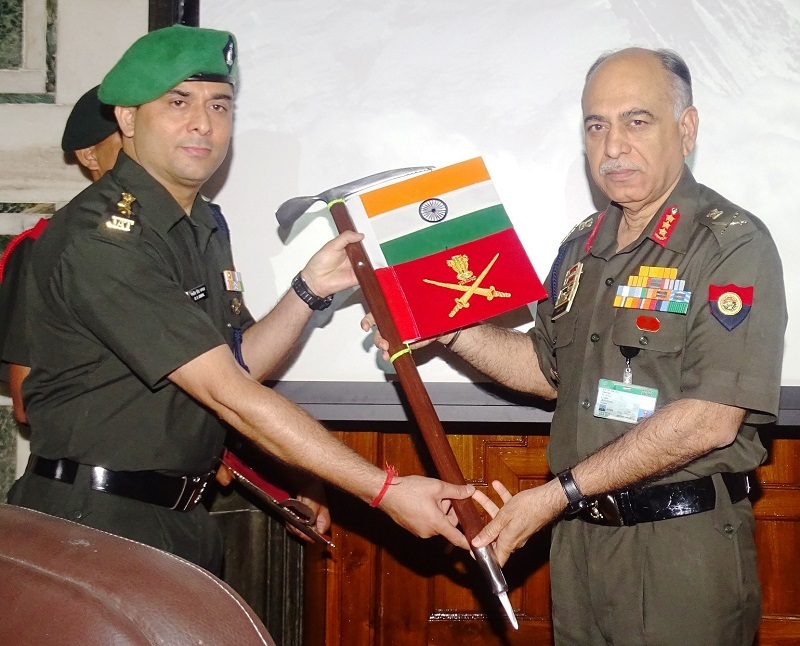 The Indian Army Everest Massif Expedition to scale Mount Everest and Mount Lhotse, was ‘Flagged Off’ by Lt Gen MMS Rai, the Vice Chief of the Army Staff on 29 March 2016 at a ceremony held at South Block. 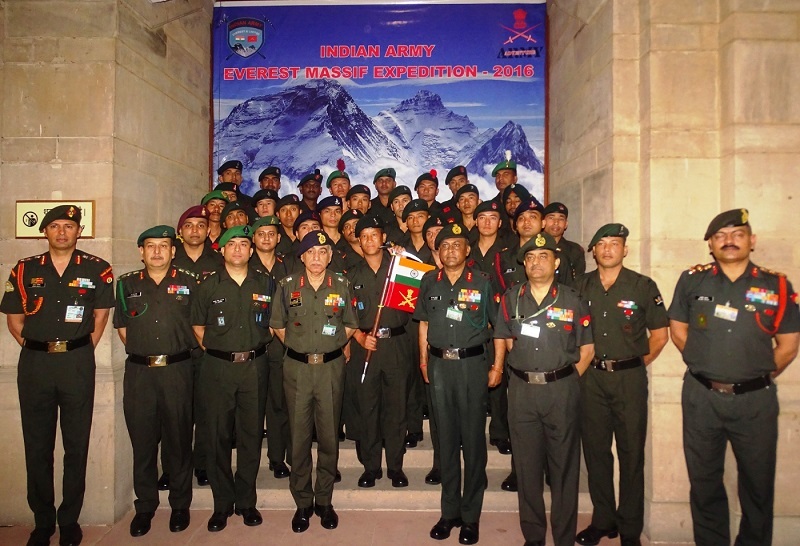 The 30 Member Indian Army Expedition Team consisting of 05 Officers, 04 Junior Commissioned Officers and 21 Other Ranks will attempt to summit Mt Everest (World’s highest peak) and Mt Lhotse (World’s Forth highest peak). The team is being lead by Lt Col RS Jamwal, a reputed climber, who was also the team leader during last year’s Everest Expedition. The expedition team will reach Everest Base Camp on 14 Apr 2016 and will make summit attempts between 16 to 30 May 2016. Two members of the team would also be attempting the Everest- Lhotse traverse and five members would be participating in Tenzing Hillary Everest Marathon (THEM) on 29 May 2016. On completion of the expedition the team will return to Delhi on 10 June 2016. This is the same Expedition team which was located at Everest Base Camp when tragedy struck Nepal on 25 April 2015 with a 7.9 Magnitude earthquake causing havoc and destruction. The avalanche had struck the Everest Base Camp from Mount Pumori destroying camps of many expedition teams, killing 22 international climbers and local sherpas, and injuring more than 70, some of whom were critical due to severe head injuries. The Indian Army’s Everest Expedition Camp was also in its path of the avalanche, but its members were safe. 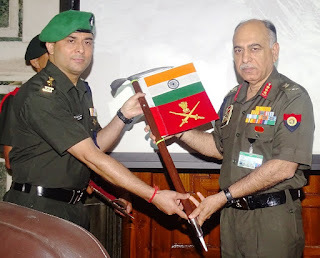 The Indian Army team immediately took control of the situation by regrouping themselves & started helping in rescuing causalities by providing stretcher bearers, as also providing shelter and rations to those in need. 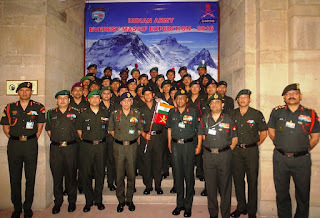 As various agencies gradually moved their mountaineers down, Indian Army team were the last to leave Everest Base Camp.